Served as textile advisor for the eco-friendly, sliding-scale clothing company, assisting the CEO and lead designer to apply a knowledge of sustainable textiles to practical design and consumer education. Advised on textile history, production, function, and decomposition. Clothing was made from made from soy, bamboo, lyocell, hemp, and organic cotton. The company created stylish casual men's and women's clothing from sustainable fabrics at a price chosen by the customer. 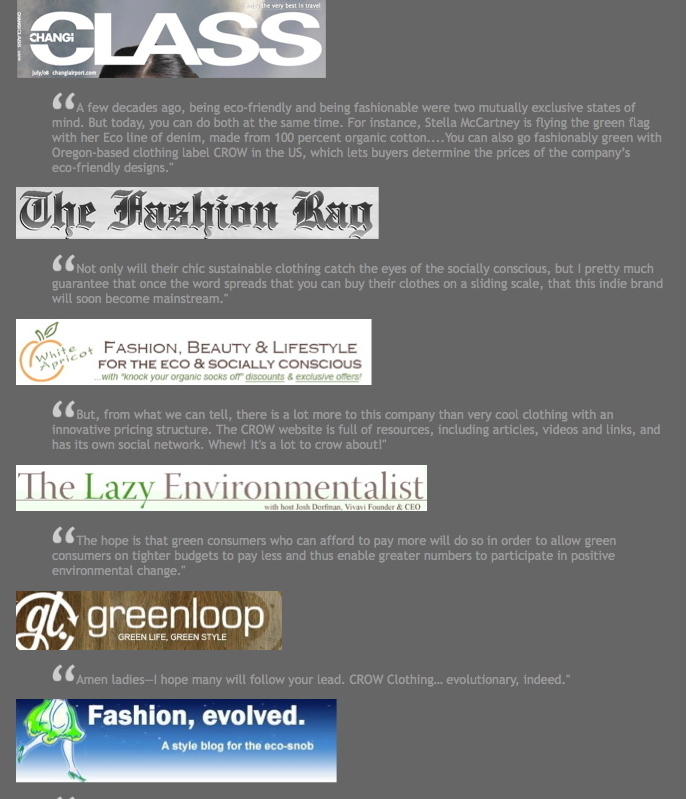 CROW's visionary model gained worldwide media attention, offering a fresh methodology for how clothing is made and purchased.